One day I had an weird error related to memory saying “There is insufficient system memory to run the query“. I know two things for sure when this error happened, First is this issue should be something related to the Systems Memory.Second is all data regarding memory should be residing in the sys tables.As a matter of fact I don’t want to dig into sys tables and write queries and want to view it as a report. 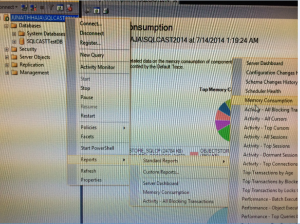 Was researching across SQL Server Management Studio and came across this Standard Memory Consumption report which helped me on that day. 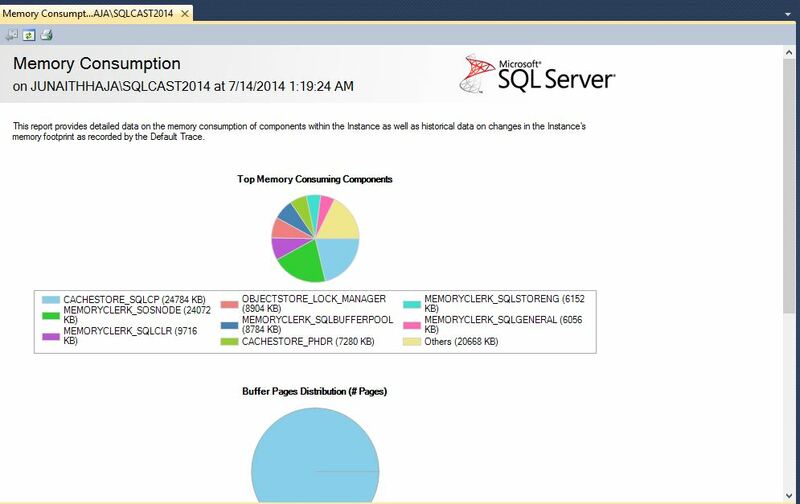 Its a server level report and you Right Click at the Server level–>Reports –> Standard Reports–>Memory Consumption. Had to clear one of the memory components to fix the issue. 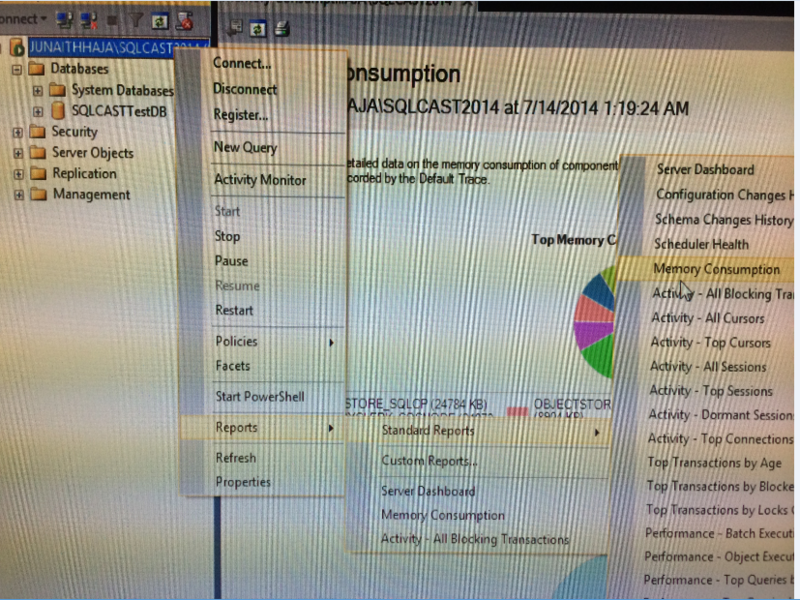 This entry was posted in All Articles, DEBUG, SQL SERVER 2014 and tagged Insufficient Memory, Memory Consumption, SQL Server 2014, SQL Server Developer on July 14, 2014 by Junaith Haja.